Home DNA Healthy Weight is a revolutionary DNA test and program that first examines genetic markers that influence weight and then provides customized diet and exercise strategies for a healthier life. With the genetic testing technology and scientific understanding of the human genome available today, it is now possible to develop individually-tailored nutrition and fitness programs based on each individual’s unique DNA. Are you struggling with weight loss or feeling tired and fatigued? A healthy weight DNA test may help you find the answers you need for a more successful weight loss program. If you want to feel and look your best, contact Mednovations today for your healthy weight DNA test today. Home DNA Food & Pet Sensitivity is a science-based DNA test that reveals how genes may make a person more sensitive to common irritants, in these eight key areas: Gluten, Peanut, Lactose, Other Foods, Cow Milk Protein, Histamine, Egg, and Pet Dander. Help your pet live a healthier life today. Home DNA Skin Care is a revolutionary DNA analysis and report that examines genetic markers related to skin performance. With the remarkable advances in understanding the human genome, it is now possible to decipher the genetic profile for an individual’s skin and make informed treatment recommendations. The days of guessing which skin care regimen will work best for them and feeling overwhelmed are over. Do you have dry or flaky skin? Do you often wonder which skin care products are best for you? Contact Mednovations for your skin care DNA test today. Visit us at our office for collection of your DNA sample or simply collect your DNA in the comfort of your own home using easy-to-use cheek swabs, mail the samples back and in less than three weeks, results are ready for viewing in a secure online account. 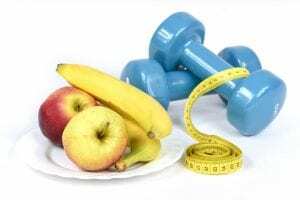 Specific ways in which genetics determine their response to different nutrients and exercise types as well as personalized suggestions for how best to achieve their ideal weight. Using information from DNA to help determine the best products, professional services, and supplements for younger-looking skin. A comprehensive DNA analysis of which foods may be causing discomfort in their daily lives and tips on how to mitigate symptoms so that they can enjoy a happier and healthier life.